Milami and I found ourselves with no more long breaks ahead, a little bit of money, the prospect of living long distance soon, and we still hadn't had a honeymoon. This was solved over the course of three months, these posts document those travels. We landed in Alaska at around midnight and the sun was just setting somewhere behind the rainclouds. An easy shuttle ride to our hotel and we passed out after drawing the blinds to block the perpetual twilight that the locals call "night". 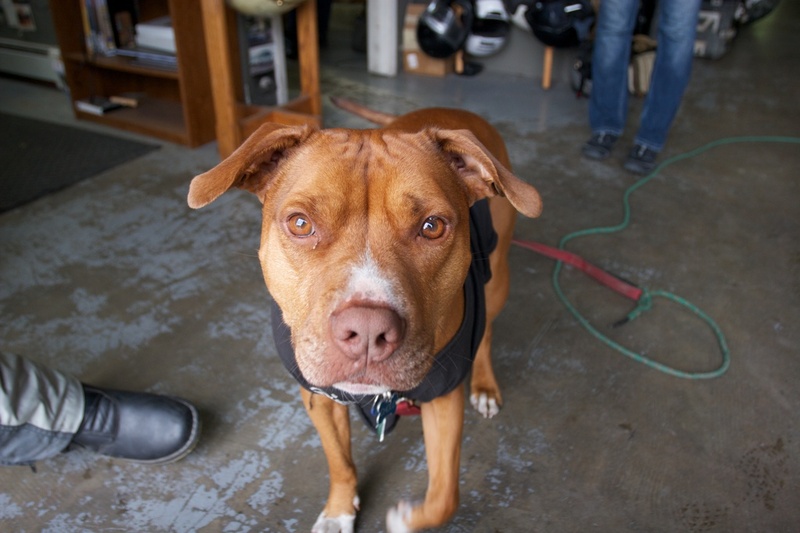 The next morning, Milami found a place to rent a motorcycle, and we were greeted at the door by their shop dog. Cholo and Milami became fast friends. While I explored the shop's garden. 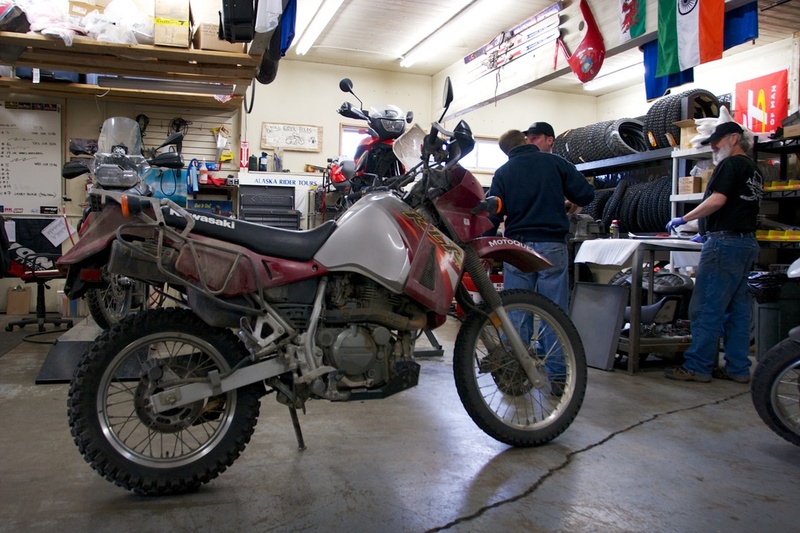 The shop offers a full range of adventure bikes, from the XT250 up to the R1200GS, with many options in between. 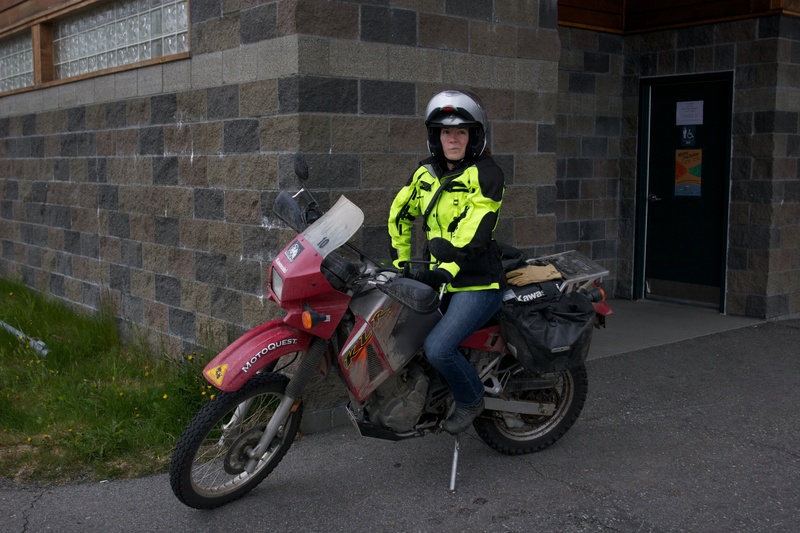 Keeping things simple, we opted for an old KLR. And wasted no time getting out onto the roads. Which were gorgeous. 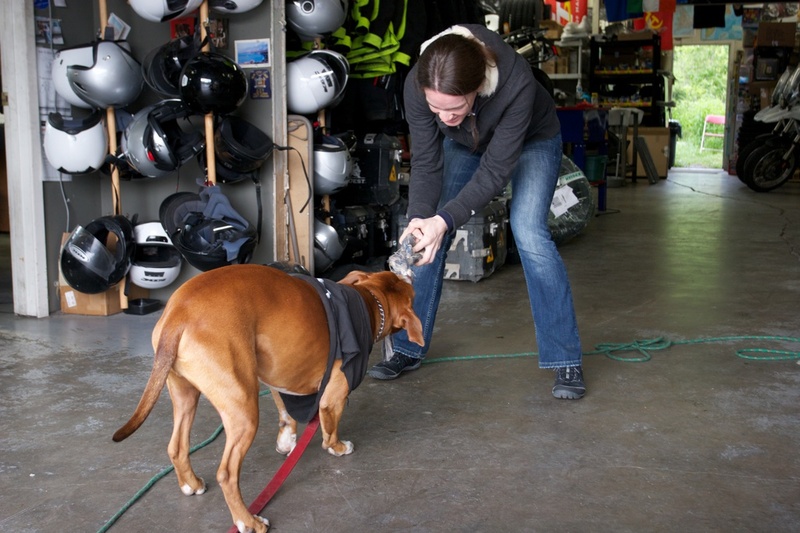 A local plumber joined us for lunch and we quickly learned he's owned nine KLRs. He bought our beers (which were excellent) and left us with some ideas for how to spend the rest of our day. 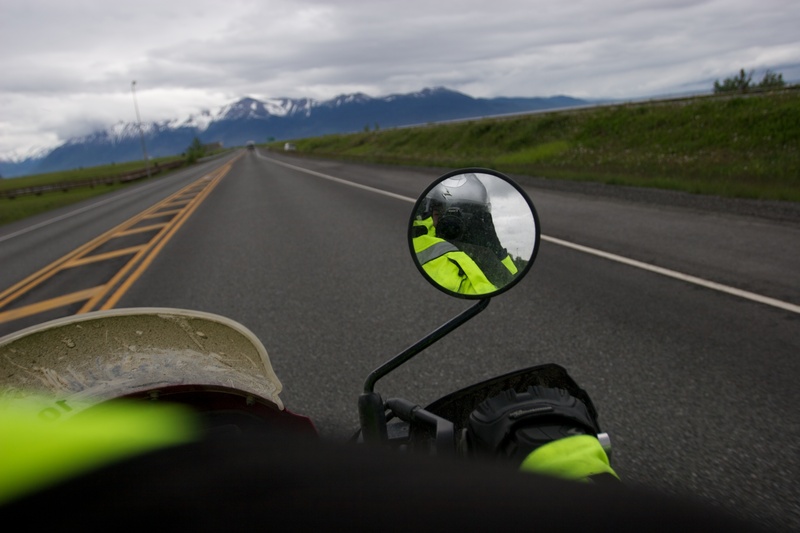 We decided we'd ride to Whittier, and learned a bit about the local road laws while enjoying the view. 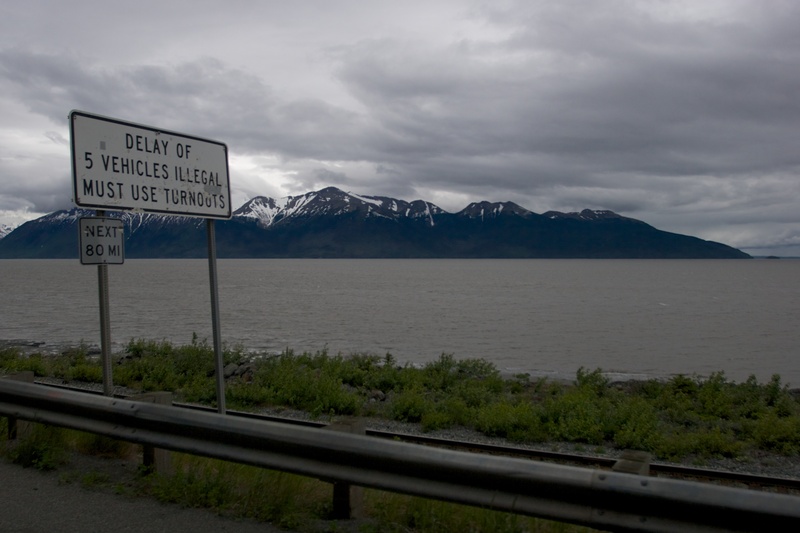 At Portage Glacier, we stopped for some photos while we waited for the tunnel to open. 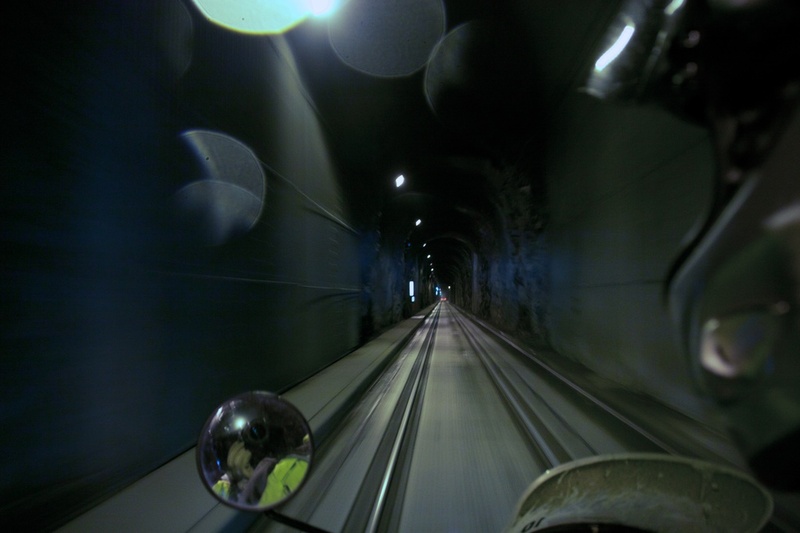 The tunnel itself is a straight, one-lane tunnel through the mountain which is shared with a set of railroad tracks. 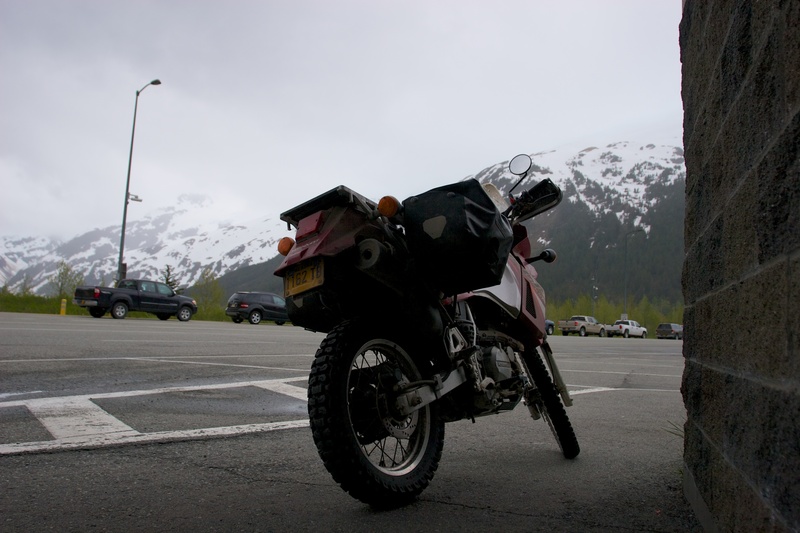 It's pretty tricky to navigate on a motorcycle because the space between the tracks is textured, slippery, and constantly wet from the glacial melt dripping from above. Which also means that the water falling from above went from annoying (it rained all day) to shockingly cold. 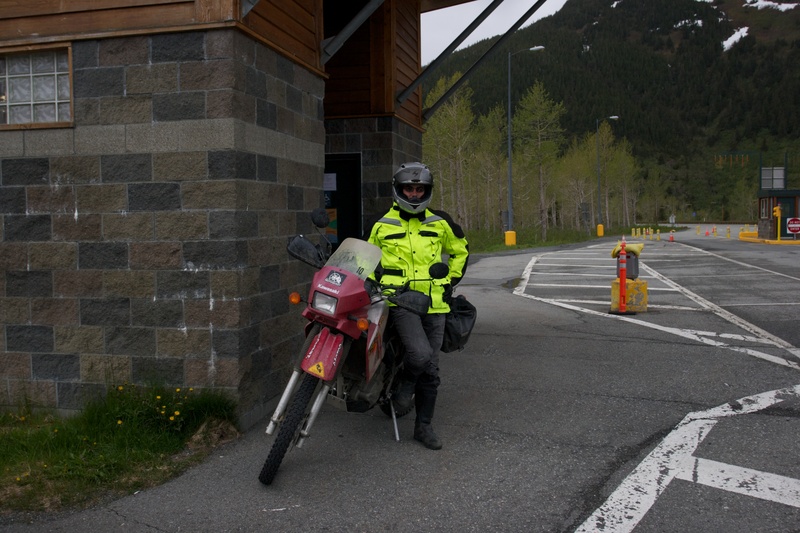 The tunnel operates on a schedule1, and motorcycles always go last due to a history of being the most likely to cause delays of all the vehicles that travel through the tunnel. 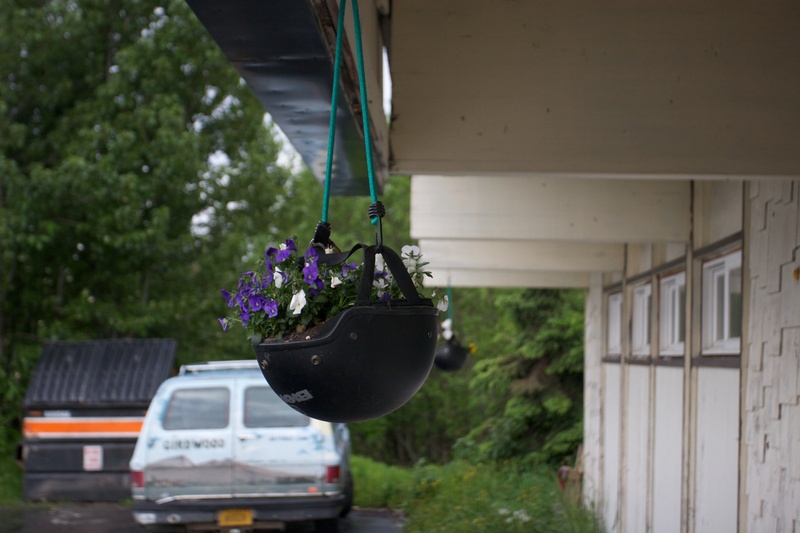 There are a few safety pulloffs throughout (in case of a cave-in?2) and it is all painfully pretty. It's also very dark, but somehow Milami managed to get a fairly steady shot as we passed through. 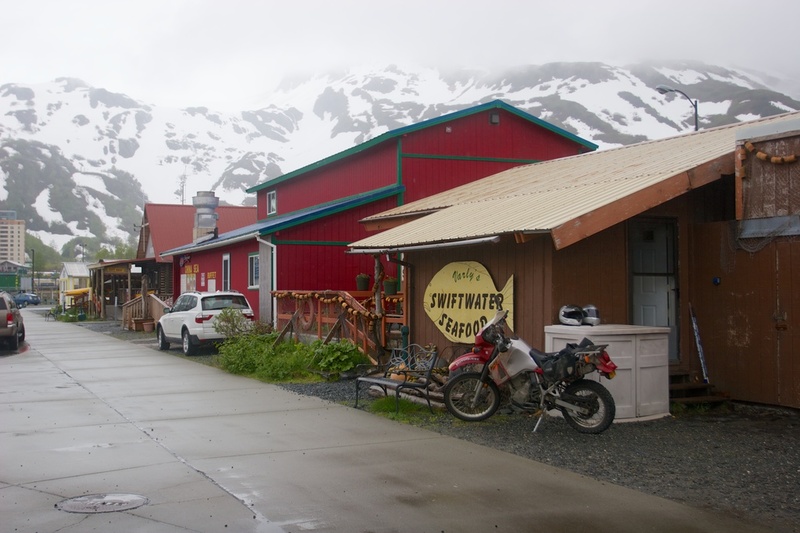 On the other side, Whittier turned out to be a very small and rustic town. 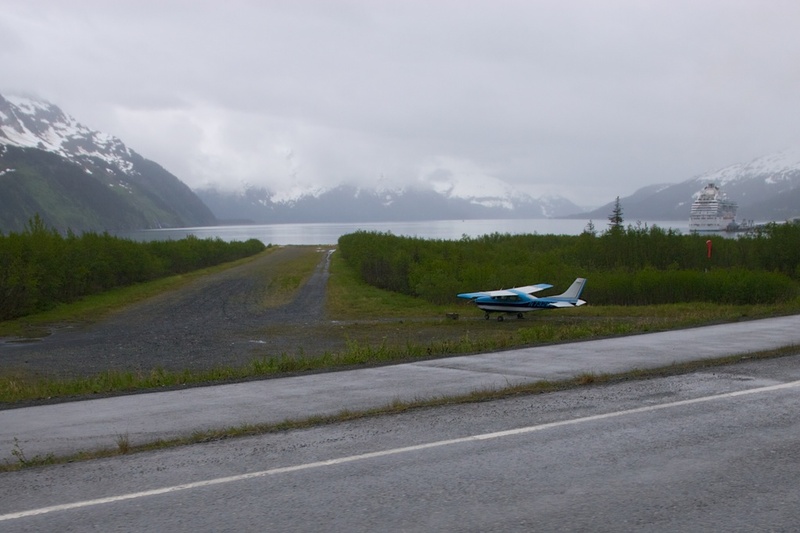 Google maps labels an airport, but I don't think it's rated for large aircraft—this is what it looks like from the ground. But our lunchtime friend Dan didn't let us down. In Whittier we had the best panko-breaded Halibut I've ever had. Not bad for a totally unplanned first day of vacation. Not bad at all.